Getting a teenager to talk to an adult is tricky. Blasting through a thousand texts a day, your teen suddenly has dry mouth when you ask how their day went. Parents want to be involved emotionally with their teenage children but it is frustrating receiving the cold shoulder every time. Mutual respect is built over time and is a vital component needed to get your child to open up to you. Instead of waiting until your teen respects you, try to give them respect and watch to see if they repay the favor. It may take some time but it is worth it. Teens may not want to get into more trouble and may not speak up as a way to avoid disrespecting you further. Instead of assuming why your child is doing something, keep your cool and ask them directly. How many times do parents here the phrase, “You won’t understand”? Teens forget their parents were young and certainly have a hard time imagining they did the similar things. Tell your teen a personal story of why you can understand. The story will connect you and your teen emotionally. Arguments can become heated quickly. Know when you are losing your cool and take a break. 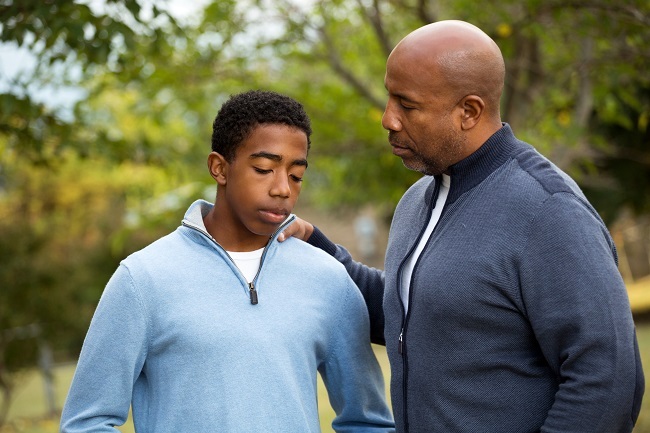 Not only will you avoid potential guilt from saying or doing things you did not mean, you will accomplish more after you and your teen take a few moments to reflect on the argument at hand. 5. How are Your Other Relationships? If a teen sees how you gossip behind their father’s back or belittle their siblings to family friends, they will shut down and bow out of a deep relationship. Your relationships with others show your kids what they can expect the relationship between the two of you will look like. How does it look from their point of view? If your child is not talking to you, they may be afraid anything they say to you will be spread around as fast as they can spit it out. Make a point to keep your conversations private and if your child has a big secret, let them know that certain things must be shared but they will keep the secret if the child is not being harmed. Don’t expect your teen to carry the weight of the relationship. Open up and take time to bond with your teen. Tell them personal stories that fit the occasions and walk them through lessons you have learned. Kids and parents benefit greatly by connecting on a deep emotional level. Family Restoration Counseling Services has trained professionals for helping adolescents and families. Contact us today if you want to learn more about how to connect more deeply with your teen. Why Do we need Re-marital Therapy?